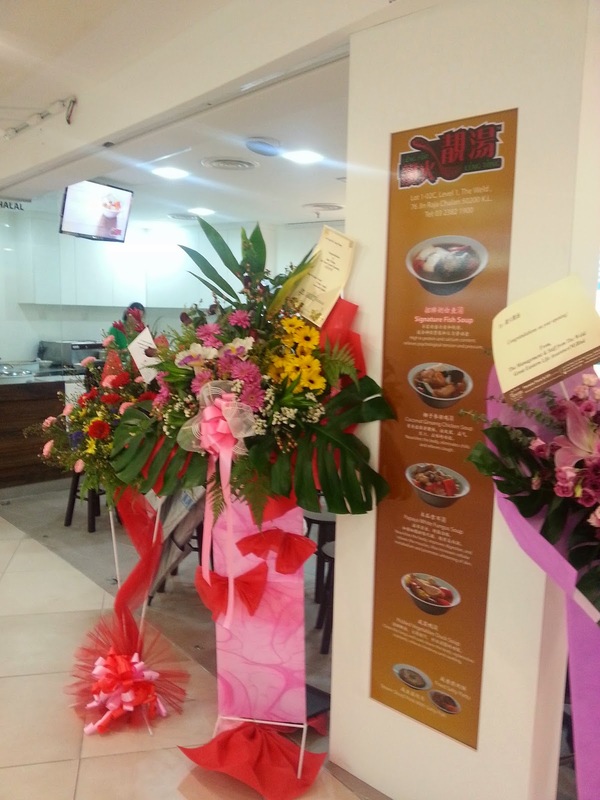 Leng For Leng Tong is located at Level 1, The Weld Shopping Mall, the place where we always hang out for lunch. 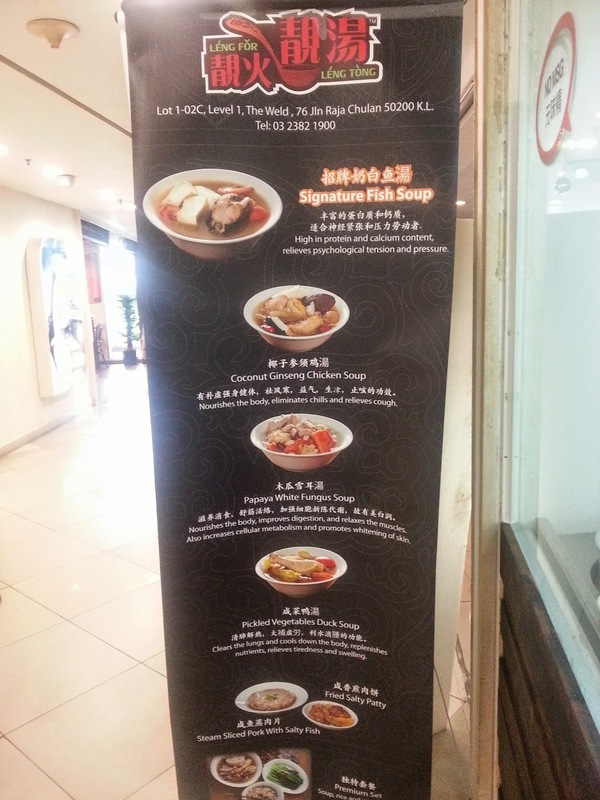 Newly opened and we get attracted by their special menu - Signature food here is their Soups! 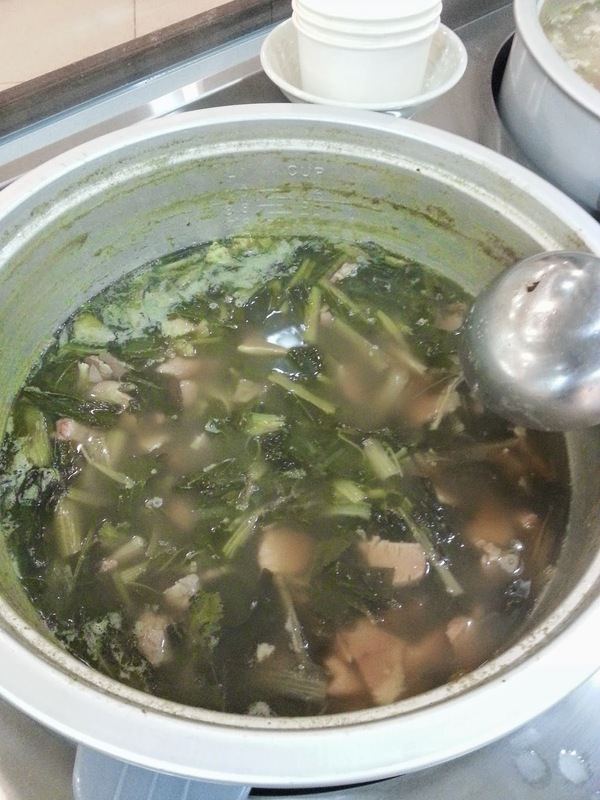 From Mon - Fri there are different kind of soups available but i need to remind you first. Please be early for lunch or else everything is sold out!. Yes i meant it!. The queue is very long started as early as 12noon and the soup usually finished early before 2pm. After trying for the first time, me and my colleagues love this place to much that we drop by almost everyday. 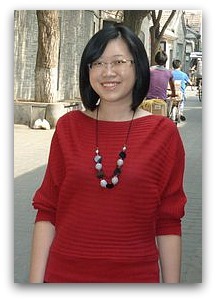 One of my colleague, she will surely take away 3-4 bowls of soup for her family to enjoy as well. We are kinda regular here.. What so special about their Soup?? 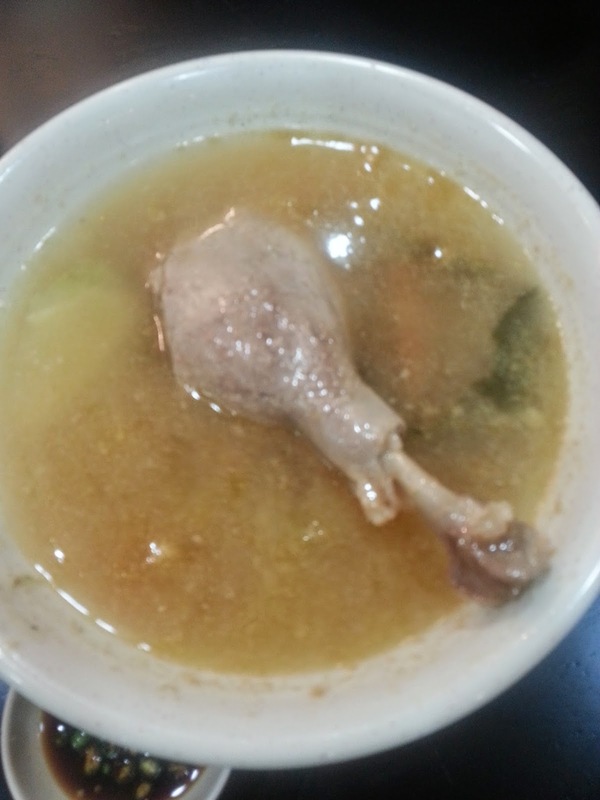 According to the lady owner, they make the soup and boiled it for more than 6 hours prepared with good quality of ingredients and using the large pork bone. When transfer to the pot here, the soup is boil and serve hot to the customer. NO MSG added and even the vegetables soy sauce is made from the soup boiled from the pork bone. Taste so good especially the soups. We almost try half of the choices here. 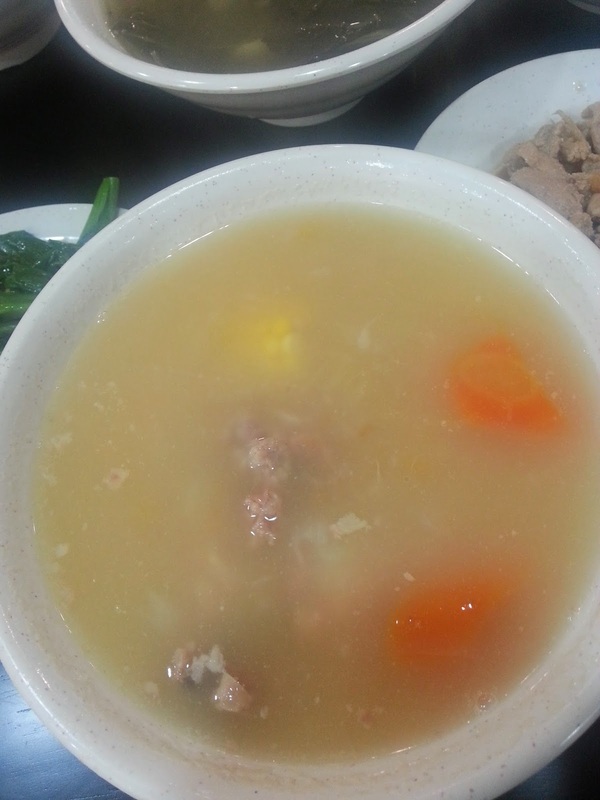 Each bowl of soups is filled up with few pieces of pork meat and highly desirable tasty with great texture of the soup. Warming up our tummy and sweating all the way is truly beneficial to our body. 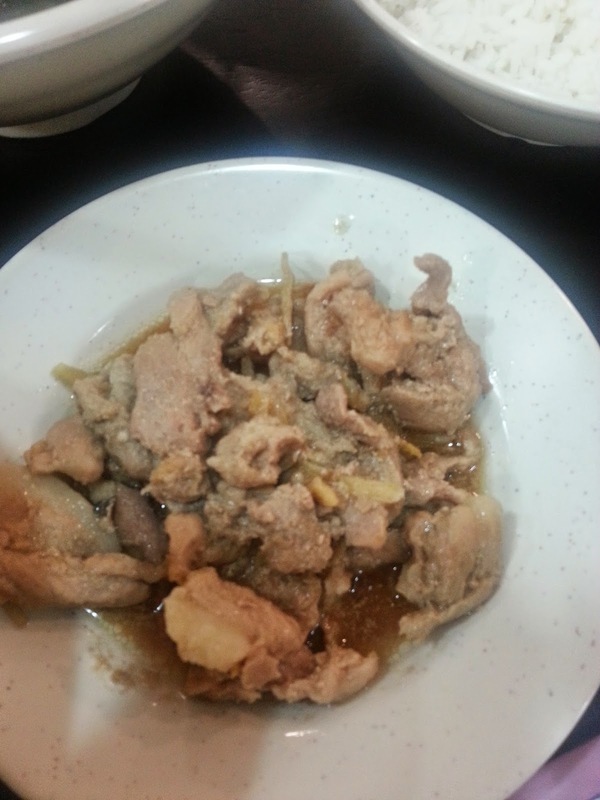 Ham Yu ( Salty Fish) + slice pork meat. Tender meat, with added slice ginger. Good to have it with a bowl of rice. 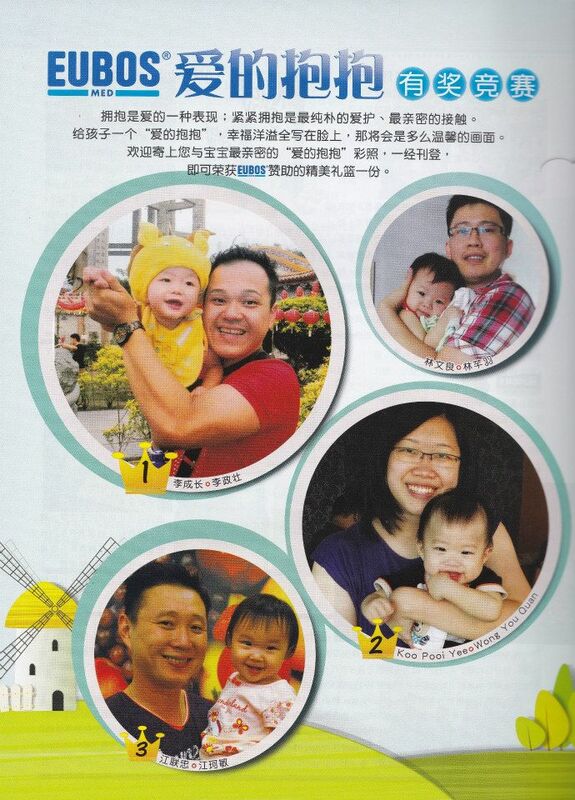 Seems like having a complete home cooked meal with vege, meat and soups. There are choices of brown rice, white rice or yam rice. 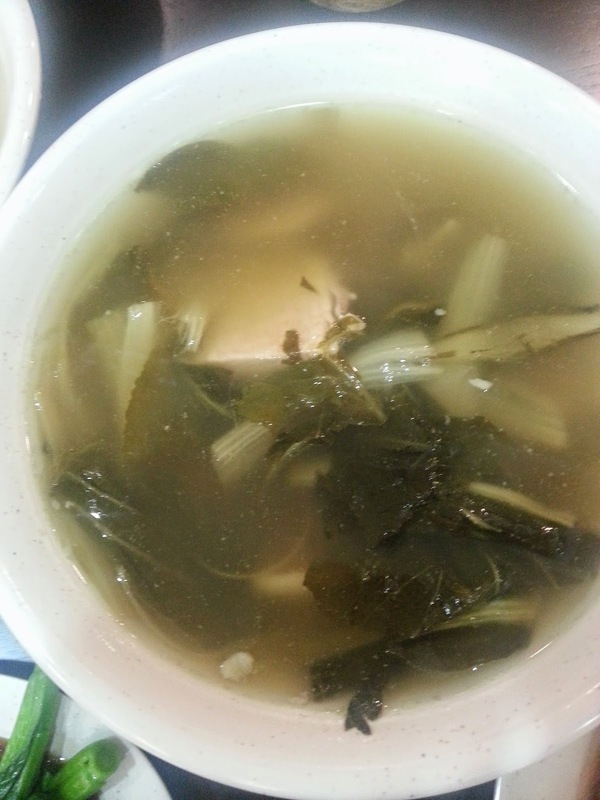 Dried Vegetables Oyster Soup- Comfort and delicate soup. Green and White Radish Soup- Love this as well. Good to consume especially during this hot weather. White radishes taste sweet ,has cooling characteristics and acts more on the digestive channels. It helps to digest food quicker too. Thumbs up for the ABC Soup!! Mixture of basic and hearty ingredients of sweet corns, carrots, potatoes and delicious pork meat. 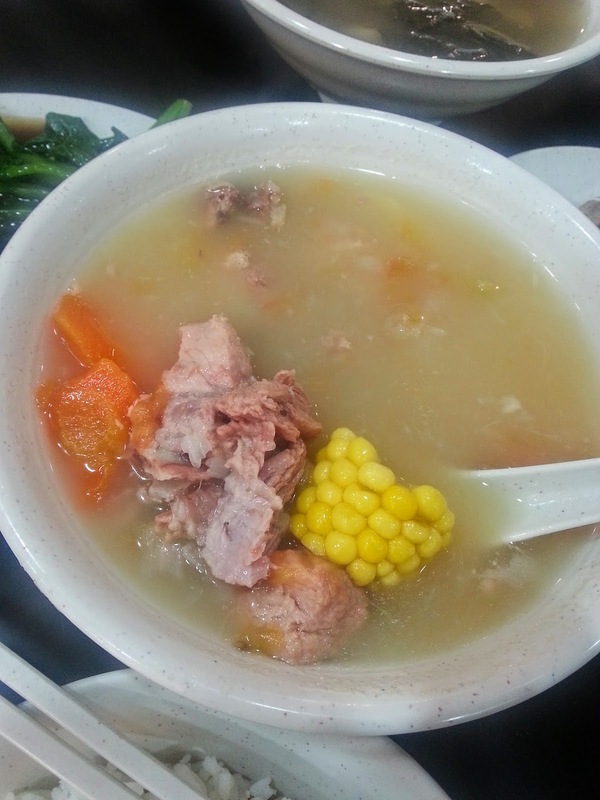 The soup taste so much sweeter with the corn and very nutritious. 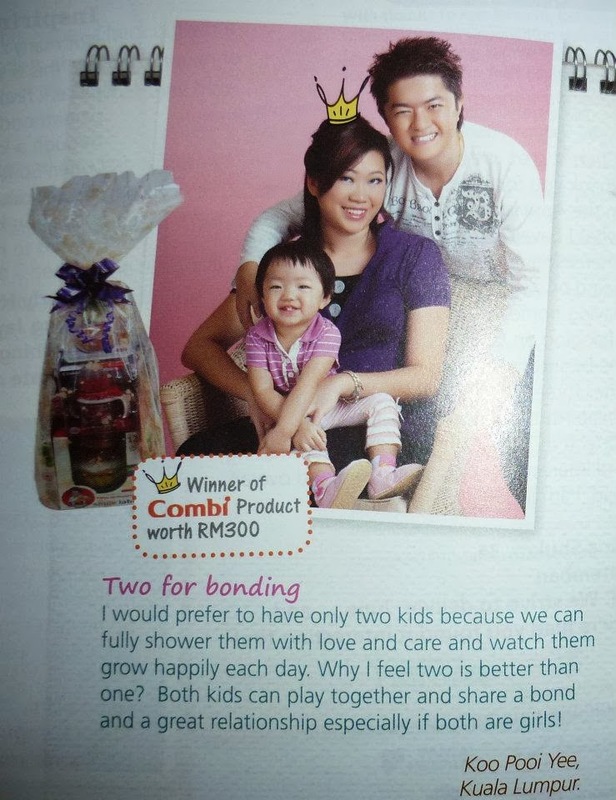 Awesome.. Mouth watering menu changes daily and i am still waiting to try the Fried Salty Patty (Yuk Peng). 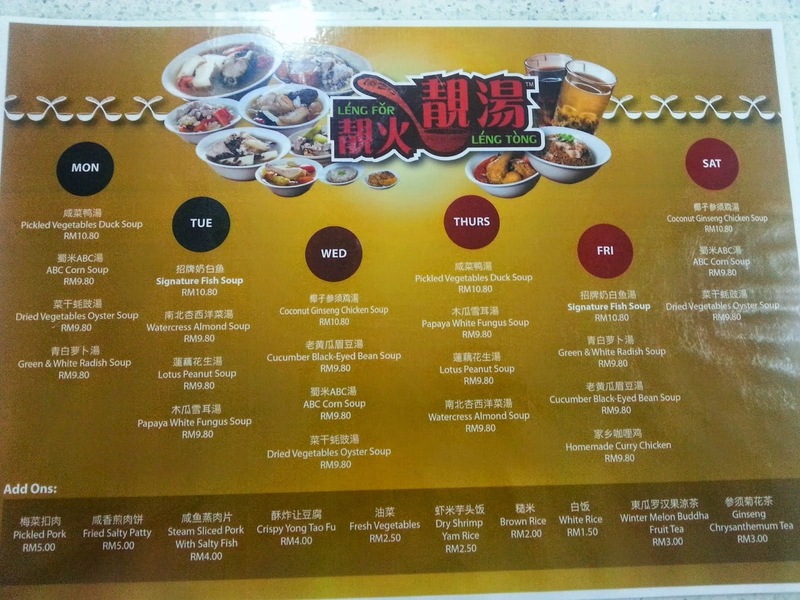 The menu here is all from Hakka originality recipes. 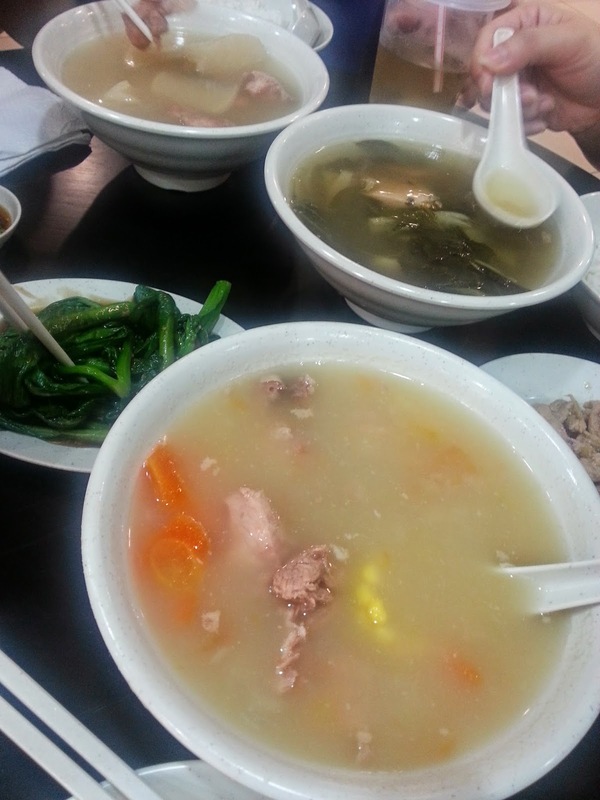 Once try you will surely coming back for more Chinese Homemade Soup. I am glad that we found a new hang out place for lunch. 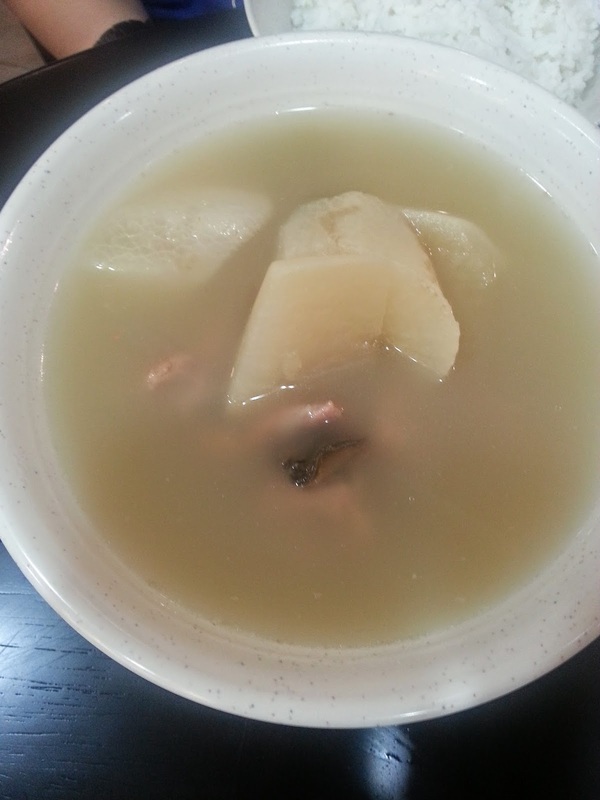 Healthy soup with great varieties and most important the benefits of having those hot steaming soup which revitalize energy. I am still pretty surprised i can find one restaurant here that serves pork. Price starts from RM 9.80 (Soup + Rice). Additional vegetables and pork range from RM 2.50 onwards. 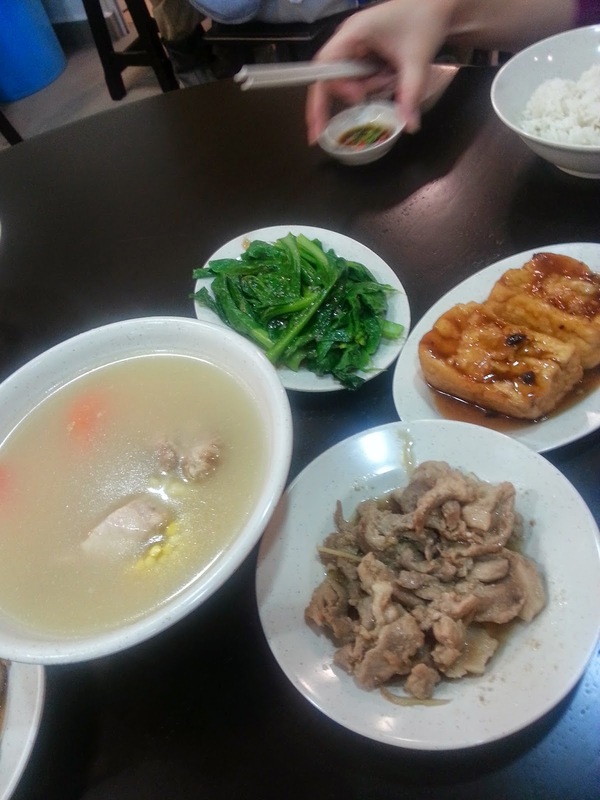 My favourite as for now is ABC Soup, Signature Fish Soup, Curry Chicken, Yong Tau Foo and Slice Pork Meat with Salty Fish.